In the library you will find not only books, resources and computers but also three experienced librarians who share a love of books and reading . We are information specialists and experts in locating the different types of information that you may need for your study and personal interests. 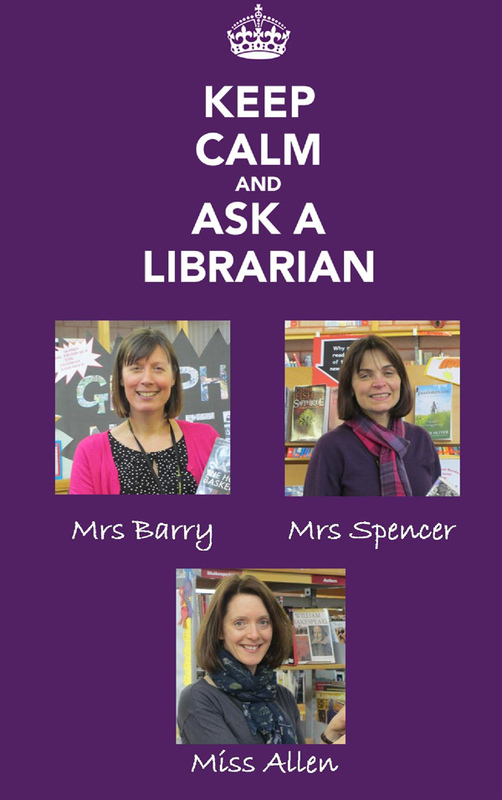 The librarians believe that reading for pleasure is one of the best way to relax and de-stress. Reading lets you experience different worlds and ideas and continuing to read for pleasure into your teenage years and beyond is one of the few things that has been proven to help you develop to reach your full potential. Why not pop in to the library today? You will find all sorts of useful information, links to online resources, curriculum resources and more on the Trinity School Library 365 group. Visit the Library Website for the latest library news and blog. 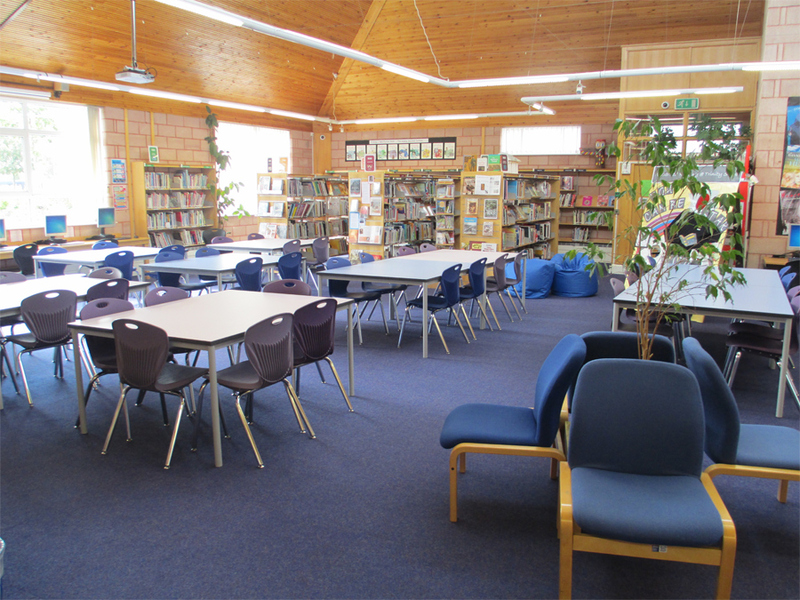 This library is based in Lower School and can be accessed via the Jubilee Hall. The building was purpose-built in 2001 and is named after the former Head of Governors, Canon Rex Chapman. With over 10,000 books to choose from and desktop/laptop computers available, this bright and spacious library provides the perfect place for reading, browsing or studying. You may also spend some time here as part of your timetabled lessons. 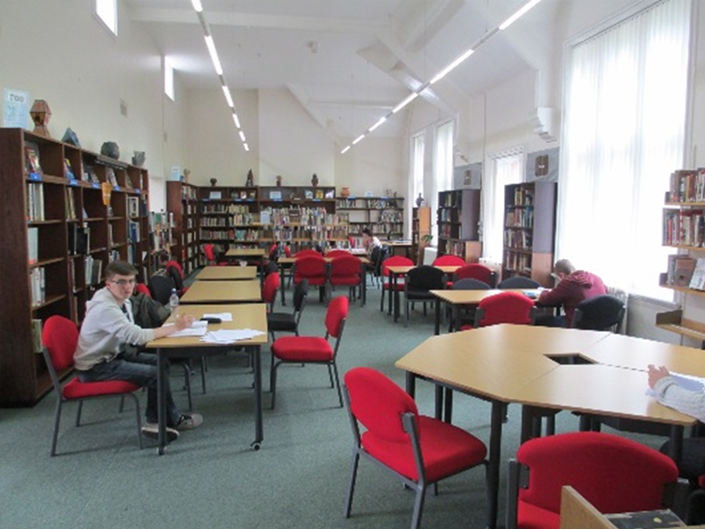 Students can use the library and its facilities at break, lunchtimes and after school. This well-equipped learning resource centre with study areas designed for exclusive use by 6th Form students. There are three comfortable areas for silent individual study, quiet collaborative work and research. As well as a large stock of fiction, non-fiction and reference books, the library offers computing facilities and students can borrow laptops for study use.